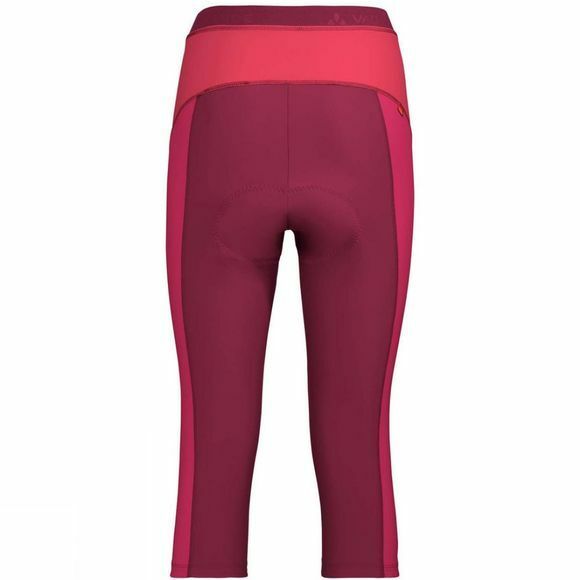 (Re)cycling pants for performance-oriented bike tours. 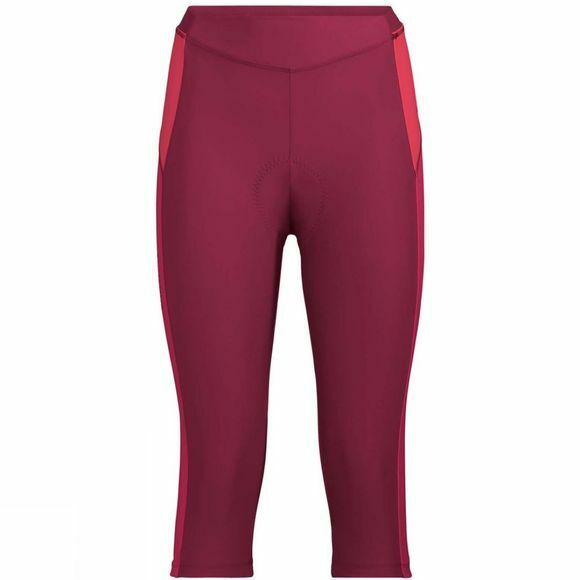 The primary material of these 3/4-length women’s bike pants is made from recycled polyamide, which is obtained in an upcycling process from textile materials such as used fishing nets. The chamois is eco-friendly; the outer material includes S-Cafe-Polyester while the foam layer includes S-Cafe oil. Both materials are made from recycled coffee grounds. The eco-friendly package comes in an ergonomic 6-panel design with flat seams and a flat waistband. The Advanced Cycling Eco chamois guarantees a good fit and excellent comfort on the ride. The VAUDE Green Shape label stands for environmentally friendly, functional products made from sustainable materials.